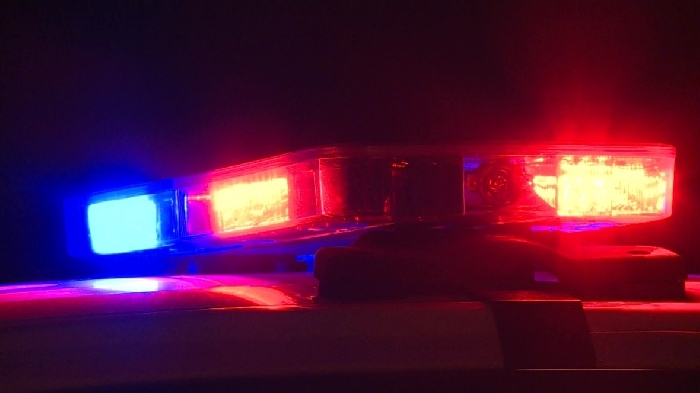 Last night, at approximately 8:55 p.m., members of the Battlefords RCMP responded to a call from a man who reported being chased by a vehicle and being shot at by the occupants. Members located the suspect vehicle and initiated a brief pursuit, which ended shortly after when the suspect vehicle rammed a police vehicle and became immobilized near the intersection of 15th Avenue and 105th Street in the City of North Battleford. In response to the driver’s actions following the pursuit, a member discharged their firearm injuring an occupant of the vehicle. Life-saving measures were immediately provided by RCMP members until local EMS arrived and took-over, however at approximately 9:40 p.m., the driver was pronounced deceased while enroute to hospital. The deceased has been identified as 22-year-old Brydon Bryce WHITSTONE of Onion Lake, SK. A second suspect, an adult female, who was in the vehicle suffered minor injuries, was taken to hospital for treatment and then released back into custody. One RCMP member also suffered minor injuries in the pursuit and was taken to hospital, treated and released. As per our policy, the Saskatchewan RCMP has requested an independent, external investigation into the circumstances surrounding the death of Mr. Whitstone. The Regina Police Service will be conducting this investigation. Additionally, the RCMP has requested the Ministry of Justice appoint an independent observer. The initial complaint of a man being chased and shot at continues to be investigated by the RCMP.